Columbia University is one of 23 institutions that has joined the South Asia Materials Project Open Archives Initiative. The SAMP Open Archives Initiative will create and maintain a collection of open archives materials in all academic disciplines for the study of South Asia. For more details, see the SAMP OAi business plan. The SAMP OAi has a position opening for a Program Coordinator. Applicants should preferably have either an MLIS degree or an advanced degree in Asian Studies. This entry was posted in South Asian Studies and tagged Digital resources, South Asian Studies on May 31, 2016 by Gary Hausman. Columbia University Libraries access to Ethnographic Video Online has been expanded to Volume III, which emphasizes indigenous issues and perspectives, with much content created by indigenous film makers. Volume III currently contains nearly 100 hours of content and footage from the Oceanic regions of Polynesia, Melanesia and Micronesia. The collection will continue to expand with films from Australia, the Americas, Africa and Asia. Volume III complements the video material already available in Volume I and Volume II. This entry was posted in Global Studies and tagged African Studies, anthropology, Asia, Australia, Digital resources, Oceania, Southeast Asian Studies, video on June 12, 2015 by Gary Hausman. A collection of materials originally published in Afghanistan has been preserved in microfilm format, and is available for lending from CRL (the Center for Research Libraries). MEMP (Middle East Materials Project) and SAMP (South Asia Materials Project) contributed funds to preserve these materials from the Library of Congress–Islamabad office. (Columbia is a member of both organizations) These materials include holdings from 1924 through 2010 and cover the last years of the monarchy’s rule in Afghanistan, civil war, foreign invasion, and the rule of the Taliban. The collection of materials includes general newspapers, cultural periodicals, and the publications of organizations as diverse as the Lawyers Association, trade unions, the Ministry of Defense, and the Ministry of Information and Culture. The titles were published in a variety of cities in Afghanistan and are written in Pushto, Persian, and Dari. This entry was posted in Global Studies and tagged Digital resources, microfilm, Middle East Studies, Newspapers, South Asian Studies on May 7, 2015 by Gary Hausman. Web CEIC Data Manager is a subscription database of economic, financial and industrial time-series indicators that covers over 117 countries and regions. It is available to Columbia University affiliates by online access. 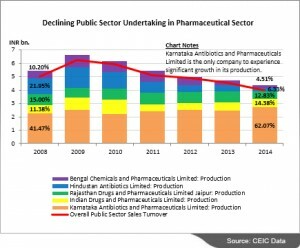 The India Premium module of CEIC has been expanded with enhanced datasets on India’s pharmaceutical sector including: detailed sector-wise operational indicator statistics; detailed breakdowns looking at the performance of six state-owned public sector pharmaceutical companies relative to the overall industry; data for assessing growth prospects of the pharmaceutical sector in relation to the availability of tertiary education courses; enhanced data series on the maximum sale price of prescription drugs set by regulatory policy; and related statistics on the monitoring and enforcement of this price ceiling, with cases of overcharging. 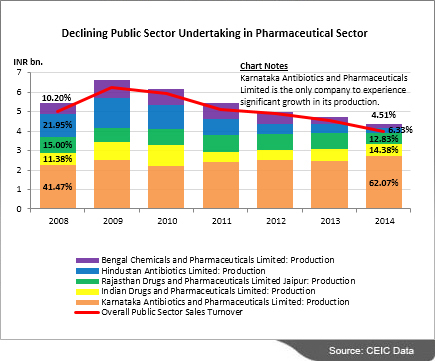 These statistical datasets make it possible for users to evaluate the growth of the pharmaceutical industry in the Indian economy. Other new data series in the CEIC Indian Premium Database include enhanced chemical and petrochemical statistics, expanded tourism statistics, expanded cement statistics, enhanced foreign trade statistics, enhanced metal and steel statistics, and enhanced transportation, post and telecom statistics. This entry was posted in Global Studies and tagged Business, Databases, Economics, Medicine, South Asian Studies on March 17, 2015 by Gary Hausman. Columbia University participated in the 5th annual Cooperative Collection Development Workshop for South Asian Resources on October 17th, 2014, in Madison Wisconsin. At the 1st Cooperative Collection Development Workshop in 2010, 20 participants focused on monographic subject profiles for materials received from the Library of Congress Delhi office. 52 profile categories were decreased so as to free up funds to commit to 186 additional categories. The main focus of the new categories was on lesser covered subjects nationwide. Columbia specific deletions in 2010 included several English, Bengali, and Nepali language subjects. 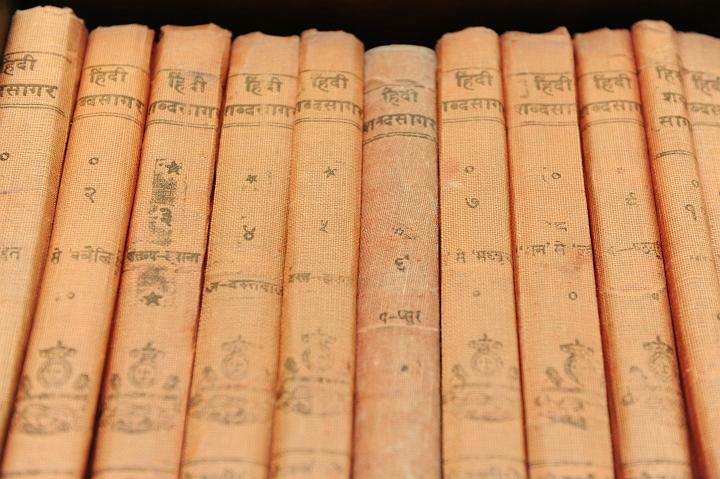 Columbia specific additions included a range of subjects including Gujarati, Hindi, Kannada, Manipuri, Marathi, Panjabi, Sanskrit, and Tamil languages. The 2nd Cooperative Collection Development Workshop was held in 2011, and focused on serial literature profiles. There were 19 participants. Based on a detailed comparison of highly subscribed and lesser subscribed serials, it was discovered that of the slightly more than 4700 serial titles offered by the Library of Congress Cooperative Acquisitions, less than 10% of the titles were held by 10 or more institutions, and almost 70% of the titles were subscribed by five or fewer institutions. The goal of the workshop was to effect a 10% reduction (in number of titles) in each member’s serials subscription, and to increase by a 5% addition of new titles starting with the next serial renewal cycle. The 3rd Cooperative Collection Development Workshop, in 2012, focused on local specialization of collections. 18 institutions committed to collect in specialized areas that simultaneously support local needs and contribute uniquely to the national collection. As an outcome of this workshop, Columbia committed to collecting art catalogs from South Asia. The 4th Cooperative Collection Development Workshop, in 2013, focused on the theme of how to communicate the success, value, and impact of cooperative collection development to external groups including faculty, administrators, and the broader library community. The workshop included two in depth presentations on comic books collections and on diasporic Jewish materials, and a working group was created to draft a vision statement for the collective. The 5th Annual South Asia Cooperative Collection Development Workshop focused on the theme of collection assessment and promotion, and revisited SACAP monographic profiles to examine continued overlap and specialization and to identify possibilities for collaboration. For purposes of the workshop, participants divided into “regional groupings” (SAC-East/Borrow Direct, SAC-West, and CIC) and into “affinity area” groups. (Affinity areas include a) language materials, b) subjects, c) geographic regions, d) miscellaneous including formats). Discussion was based on updated 2014 spreadsheets including data on participant costs and data based on region and subject affinities. There was also discussion devoted to collection assessment tools, such as OCLC WorldShare Collection Evaluation’s expert mode features. More details of all five workshops are available at the South Asian Cooperation website. This entry was posted in Global Studies on November 3, 2014 by Gary Hausman. Here is the introductory powerpoint for the Columbia University Libraries tour. This entry was posted in Global Studies on September 8, 2014 by Gary Hausman. Columbia University Libraries now has access to two online databases from Centre for Monitoring Indian Economy. The two new electronic resources are Prowess and CapEx. 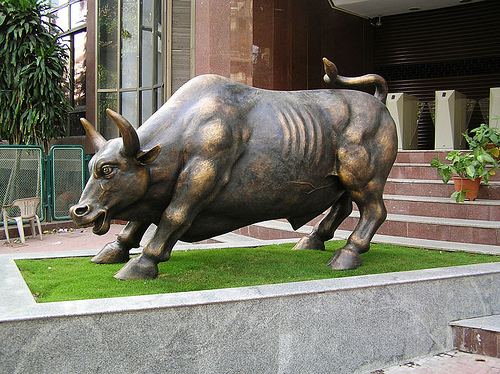 Prowess includes data on the financial performance of more than 27,000 companies, including those traded on the National Stock Exchange and the Bombay Stock Exchange, as well as many unlisted public and private limited companies. The database is compiled from Annual Reports, quarterly financial statements, and Stock Exchange feeds, and includes more than 3,500 data fields per company for customized search queries. Time-series data goes back to 1989-1990. The name CapEx is a concatenation of the short-forms of Capacity Expansion and Capital Expenditure. Thus this database includes investment projects with a capital expenditure of Rs. 10 million or more that involve the setting up of new capacities. The CapEx database captures the life-cycle of projects from the years 1995-96 to the present. This entry was posted in Global Studies and tagged Business, Databases, Economics, South Asian Studies on July 17, 2014 by Gary Hausman.